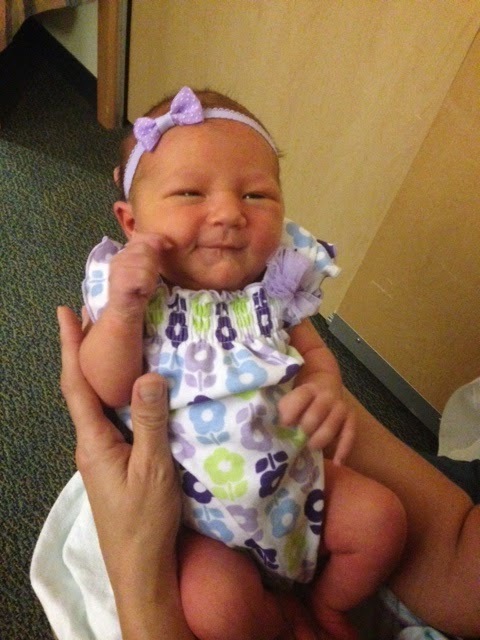 My Hubby and I had this beautiful baby girl at the end of July and we are totally in love! We had a rough start and she had to spend a few days in the NICU because of some breathing issues, but she's doing great now! It feels so strange knowing that my kiddos are in school today without me. 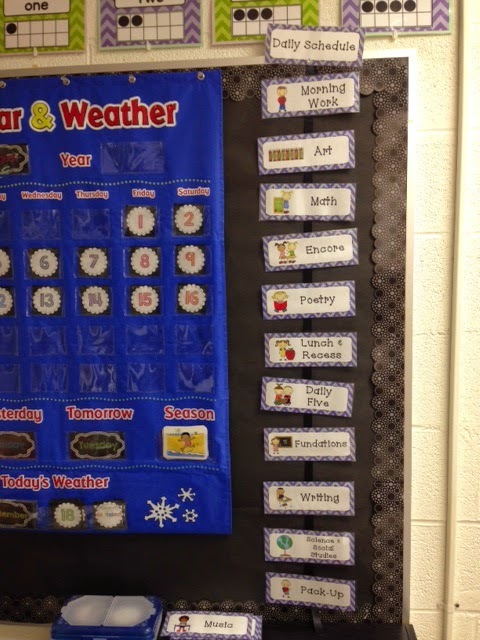 I was in a lot last week finishing up my classroom. I had set most of it up before I had the baby, so I just had to finish up a few things and get ready for my sub. Until then, I will spend lots of time loving on this little cutie...this was her helping Mama at school last week! 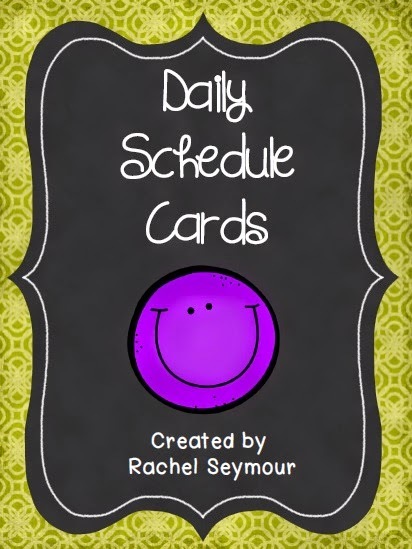 Before my sweet baby girl wakes up, I want to share my new Daily Schedule Cards with you. 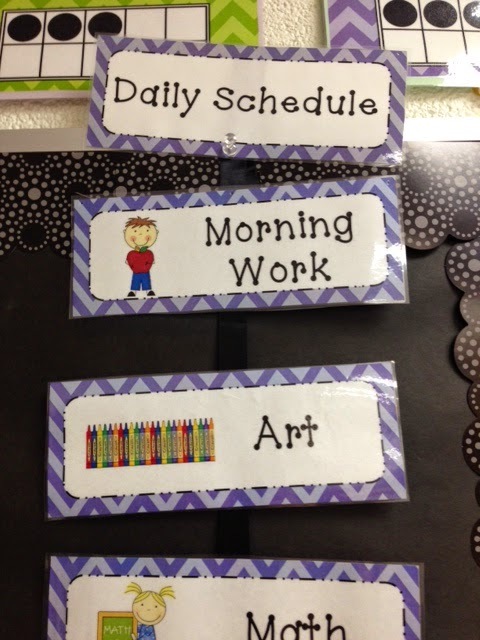 I used these last year and they were a great way to help my kiddos learn our daily routine. I haven't included times on them so I have more flexibility. My kiddos don't really master time until later in the year so it wouldn't really be relevant for them now anyways. Here is a picture of them in my room. I have them hanging up on black ribbon and they're attached with Velcro so it's easy to change them in and out. And if I ever forget to change something, my kiddos let me know. I am using the set in purple chevron, but I also have them in blue and green so you can choose which color or mix all 3. If you purchase this pack and need something added to it, let me know and I would be happy to! Hope those of you back in school are off to a great year!!! Congratulations on your lil bundle! She is a sweetie! Your daughter is adorable! Enjoy your time with her...you won't regret a minute of it!! The purple chevron is way cute! And though it's hard to not be there in the beginning to train your new batch of students, you'll never regret taking time with your daughter. Enjoy it!